ServiceMaster Clean has been providing janitorial services to businesses in the Durham region for over 20 years; serving a wide range of facility types including offices, healthcare centres, schools and industrial facilities. Whether your office is in Pickering, Ajax, Bowmanville, Brooklin, Oshawa, Scarborough or Whitby, our fully trained staff is committed to providing quality janitorial services and outstanding customer care. We offer a full range of commercial cleaning services including regular janitorial cleaning services, hard surface floor cleaning, post construction clean up, as well as specialized healthcare cleaning. ServiceMaster Clean of Durham Janitorial has highly trained and experience staff who pride themselves on delivering extraordinary service. 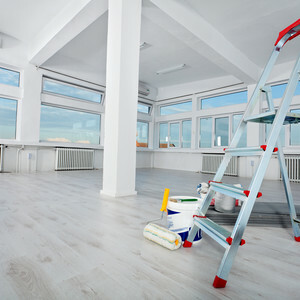 We work with our customers to understand their unique office cleaning needs and customize our janitorial services and schedules to keep their facility looking great. You can count on ServiceMaster Clean of Durham to help your business look its best every single day. Contact us to customize a janitorial service plan just for you.